This is the fourth book of Andrew Loomis that Titan Books have published. The other three are Figure Drawing for All It's Worth, Drawing the Head and Hands and Successful Drawing. All are wonderful reprints, including this one. This is a huge and thick hardcover at 300 pages. There are seven chapters in the book covering the line, tone, colour, telling the story, creating ideas, fields of illustration and experiment and study. 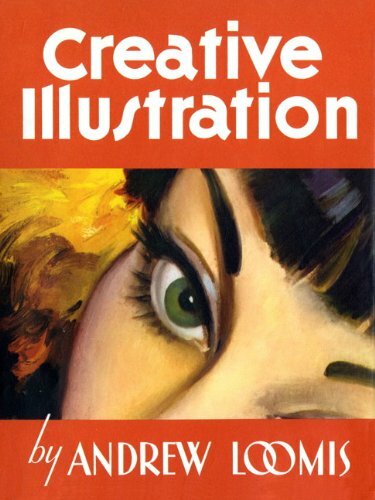 The first few chapters explain more on the drawing techniques while the later chapters are more on visualising and creating art for display ads. This isn't a draw-with-me type of book. You should have basic drawing skills, and using the drawing tips and insights provided, you can understand what makes a good drawing and improve yourself. Commentary is lengthy but clear. The illustrated examples are beautiful and even if some of them are dated, the techniques still remain as relevant today. It's a great book for all who want to get better at drawing.